Lumír Ondřej Hanuš obtained his M.S. in analytical chemistry, Ph.D. in analytical chemistry and associate professor in organic chemistry from Palacký University (Olomouc, Czech Republic) and his D.Sc. in pharmaceutical chemistry from Charles University (Prague, Czech Republic). Between years 1971 and 1990 did research and teached at Medical Faculty, Palacký University (Olomouc). Period 1978–1979 spent as research associate at School of Pharmacy, University of Mississippi, USA. From 1990 up to present time (as researcher, professor haver, and Research Fellow) is with School of Pharmacy (Hebrew University, Jerusalem, Israel). Between years 1997 and 1998 was visiting associate (NIDDK, NIH, Bethesda, USA) and in 2001–2002 as research fellow at NIAAA (NIH, Bethesda, USA). At present time, he is Research Fellow of Hebrew University in Jerusalem. Where in 1992, with Dr. William Devane isolated and first described the structure of “anandamide”, an endogenous cannabinoid neurotransmitter. 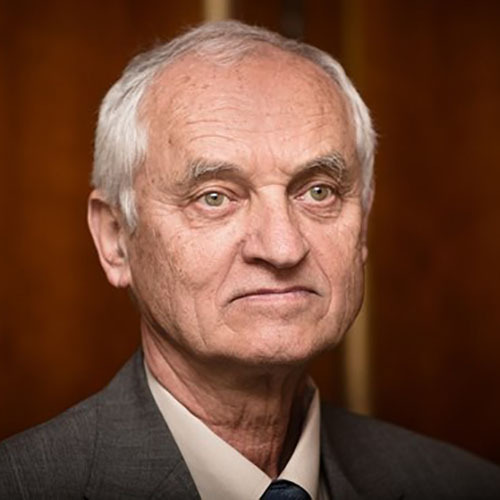 Throughout his career Prof. Hanuš laid the foundations of the research of cannabis and its curative effects. He has received multiple awards and nominations for his scientific excellence and for his contributions to the field of cannabis study and research. He continues his research in Jerusalem, and his major research interest are: chemistry of natural products (isolation and identification of new compounds from plants and animals), testing of compounds for biological activity. Cannabis Conference PDE is an international event that offers first class lectures on the latest advances in the field of cannabis medicine, technology, innovation and industry.